to describe a Sri Lankan with a dark complexion and strong physique). He had not only joined World War 11 (two) to wage war, but also launch a struggle on behalf his rights to cultivate crops for his livelihood in the Polonnaruwa District. His went down memory lane to tell us his life story. “I sold rice stealthily with the Kaffirs. I travelled daily from Trincomalee in the lorries used by armed forces during those days. I travelled in the guise of coming to buy the provisions to cater to ex-service men. During those days there was a shortage of rice in the country. We ate imported rice. The Kaffir gentlemen were my close friends. When they came, they brought two or three bags of paddy. I sold them to the shops and got Rs.15 and gave Rs.5 to them. They drank toddy with that money,” said Silva. During World War 11, the British soldiers had set up camps in Trincomalee and Hingurakgoda. The official residence of top Army officers was built at a distance from the other army camps due to security reasons. 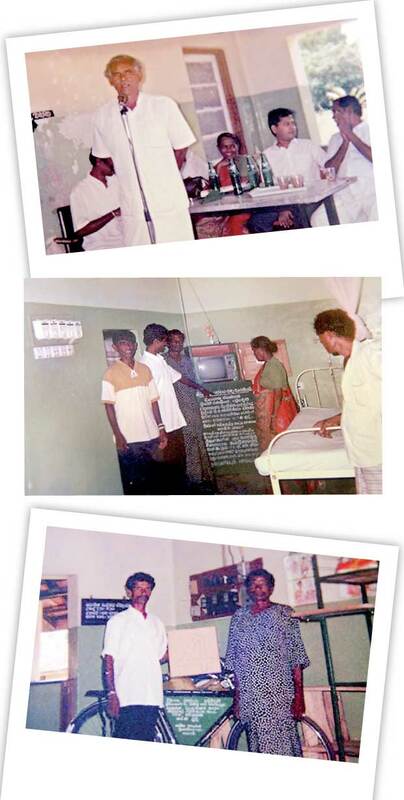 Accordingly, the official residences had been built limiting their service of Hingurakgoda and Trincomalee camps in the present village called Sewagama which was earlier known as ‘Sewa muktha’. It comprised several units. He said that there were separate houses for ordinary soldiers and top officers of the army in a town which boasted of all amenities. 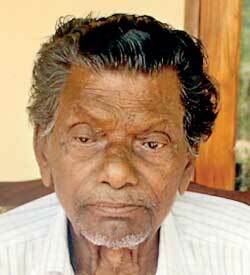 “I was born on 5th October 1914 in Beliatta in Matara. The name of my wife was Rani Pathirana. We came here after our marriage. I joined the army. They told me that I would be sent to Polonnaruwa and they’d give me a ‘pin’ ticket (presently known as railway pass). “When we arrived by train to Polonnaruwa, the English soldiers took us to our official residence. The duty I was assigned was to supply food, other items and the provisions that would be taken to Hingurakgoda and Trincomalee camps. I am the cleaner of the vehicle. Although the driver of the vehicle was a Kaffir, he was a close friend of mine. There was a toddy tavern in a Muslim village called Sabath Div. We drank toddy with the money we together with the Kaffirs stole,” be reminisced. According to him, he had three children at that time and had begun to cultivate there. He explained that there were no so-called carnivorous Kaffirs and they were lies told by the people. Sri Lanka had been bombed and the airport was covered with the branches of trees, to make it resemble a grassland. The British men cultivated Salvinia on those tanks, so that they would resemble a grassland, all done with the motive of deceiving the enemy and destroying aeroplanes, after they landed. “The British soldiers left the country after the war. During this period, Prime Minister D.S.Senanayake distributed blocks of land in the dry zone. I also got a block which spanned 50 acres from an area called Galmulla Kanda in Somawathi Forest. I cultivated it. I had 120 cattle, 80 goats and 150 poultry. I got 75 bottles of milk those days and the cost of one bottle was 25 cents. A bushel of paddy was Rs 10. A leopard had entered the goat shed and killed 14 goats, but not eaten any of the dead. The main problem faced by us during those days was protecting our crops from wild animals,” he said. Aralu nuts his secret for longevity This man can surprise any visitor to his residence because at the age of 103 he can still munch an arecanut, which is eaten with betel, quite easily with his strong teeth. He stated that the present generation of people eat everything, which is harmful, and added that his teeth are still strong due to the fact that he had consumed an ‘Aralu’ nut daily. Having drunk half a bottle of arrack and smoked 30 cigarettes daily in the bygone days, he had also cultivated 30 – 40 acres of land in addition to the land ( 50 acres) given to him by the Government. “We lived with in harmony with the Muslims during those days. It was a Muslim who had first seen Somawathi Chetiya. People, irrespective of community, did not engage in any act that was harmful to this forest. I visit Somawathi Chethiya as a Buddhist even today to pay my respects. There were many wild animals in this forest, but nobody killed them. Some LTTE cadres had climbed the chethiya to steal the Crest Gem, but they had fallen down the dagaba and died. One day, the wildlife officers had borrowed two bags of rice from the shop mentioning my name. However, I paid for the value of the rice willingly. We made arrangements to start a fast in front of Temple Trees. This was after the authorities showed no interest to entertain us after I made a request to pay children some money if they engaged in employment during weekends. I requested that the money should be deposited in their bank accounts and that they shouldn’t have access to it till they reached age 30. But the Police did not allow us to meet Government leaders,” he said. He added that he had entered politics after the incident. He had conflicts with his political opponents during that time as well. 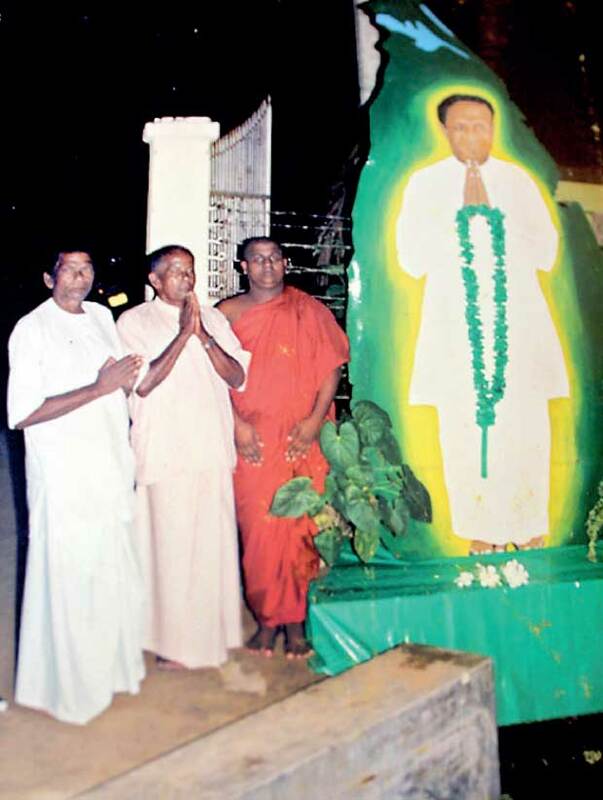 According to him, the present President Maithripala Sirisena, at that time, was a Grama Sevaka in a village in Kegalla. When I met him near a tea kiosk I would give him a cup of tea and go. Silva had fathered 11 children, but now three of them are dead. One of his sons, Deshappriya Silva, is a professor at Ruhunu University. His other children are engaged in either teaching, farming or doing business and live happily. In conclusion he said, “I have lived a long life and am happy with all my past activities. Every year I give three bags of rice as alms to be used at Danasals (Places offering free meals) at Somawathi Chethiya. What I have to tell the President is that the paddy fields where we worked have been taken over by the Department of Wildlife Conservation. We have filed action against this take over in courts. The deeds for these lands had been given to us by the Queen. Four generations of our families had worked in those fields spanning a period of about 100 years. We request the President to provide us with some lands from somewhere else. The type of paddy sown in these fields is not cultivated anywhere in Sri Lanka.They are cultivated without fertilizer or chemicals. I have lived a long life by consuming that rice. I request the President to do this on behalf of the general public”. Silva is known by everyone living in Sinhala and Muslim villages in Polonnaruwa to Somawathiya. He is a war hero ( Ranaviruwa). He plays multiple roles as farmer, social worker and father to his children. He still lives in Sewa Muktha Village and boasts of a health that fits a youth. He doesn’t complain of having any disease and is a prolific reader. All his loved ones and villagers offer their blessing to him to enjoy more years years on planet earth sans sickness.